Lumbini Helicopter Tour is the luxurious tour to birth place of Lord Buddha- Lumbini. Flying through the dotted clouds and offering alluring mountain panoramas, the chartered helicopter flight takes you to the land of peace and love. The heli Tour to Lumbini takes you to very low land of Nepal (just 200m above sea level) and rewards you with lifetime memorable memories. Helicopter Tour to Lumbini starts from Kathmandu Domestic Airport and finishes after return flight to the same place where we started. Lumbini area is well decorated by Buddhists and worshipped as the land of peace where you can find many monasteries, Gumbas and Meditation centers. The Lumbini Garden is one of the main highlight of this region. Not only Buddhists, Lumbini visit is an incredible choice for every nature, culture and peace loving peoples. Lumbini tour to Chartered helicopter can be completed in just some hours. As, this can be completed within a day, it is an ideal package for those having short holiday in Nepal. You can fully enjoy the place alone, with group or even with your family members. Lumbini Helicopter Tour is possible in all the seasons of year but during monsoon, high or continuous rainfall may disturb your flight and extend your trip or even cancel. 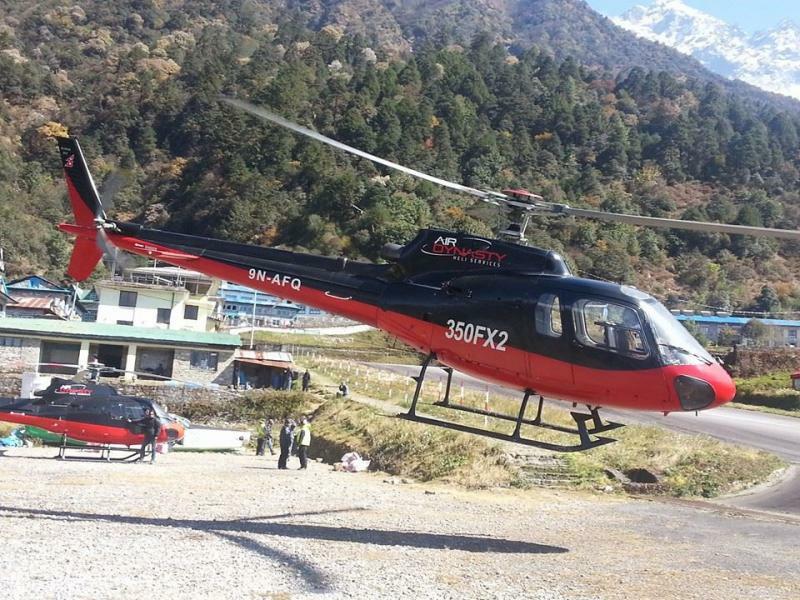 Lumbini Heli Tour during March, April, May, June and September, October, November, and December are considered as the best. These months offers best aerial views of Himalayas and rewards you with pleasant atmosphere. The temperature is tolerable and views are great in these seasons. Lumbini tour in a chartered helicopter is regarded as easy and luxurious tour in Nepal. You can even take your children to visit Lumbini, birth place of Lord Buddha who is also known as the light of Asia. This is suitable for all range of travelers. Normally it costs $3,500 per person but it depends on your group size. Because we travel in a chartered helicopter, keep in mind that larger is your group, cheaper will be your travel. But max. 5 peoples can travel in a chartered helicopter at once.